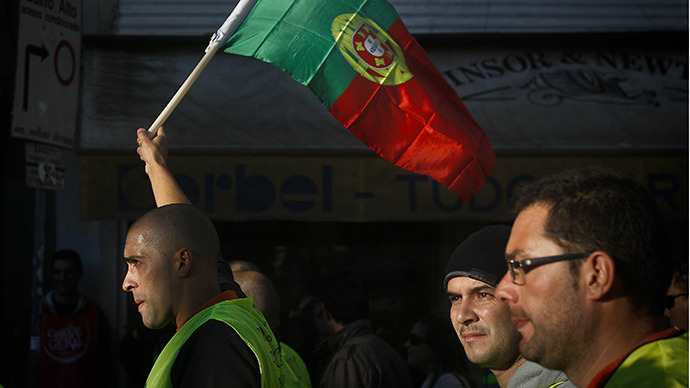 A Portuguese man has turned to crime, struggling to make ends meet. Laid off after three decades of honest labor, robbing a bank was a last desperate measure, RT's Peter Oliver reports in his footage. “I needed a few hundred euros for medication. Also we had no food at home. This is what I bought with the money that was stolen. I took about a thousand euros,” Augusto Costa told RT. Costa turned to crime after he couldn't afford to pay the medical bills for his now ex-wife who suffers from Multiple Sclerosis. Today Costa is a convicted bank robber. He chose his bank branch as the target, blaming them and Portugal government for what happened to him. “They robbed me, so I robbed them. I'm not proud, but I think the state forced me into this position,” Costa explained his actions. In the interview to RT’s Peter Oliver, Costa spoke about the day when he took a toy plastic gun and headed to his bank. Watch full report from Lisbon.